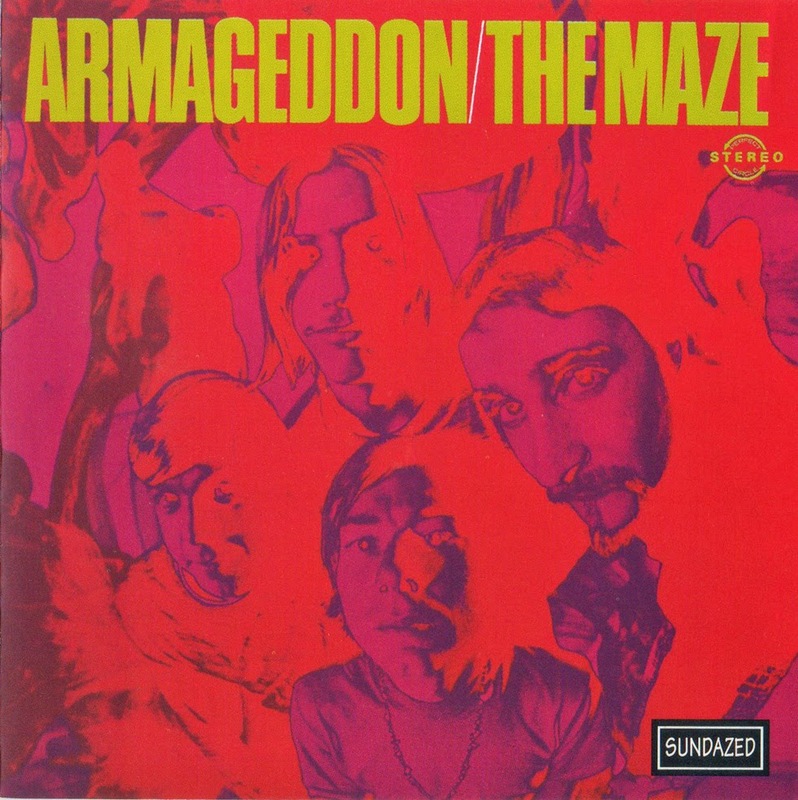 An obscure San Francisco area group that cut one extremely rare album in 1968, Armageddon (recorded at Leo Kulka's Golden State Recorders, and issued on MTA), which is highly valued in some collector circles. Actually, they don't rank as a very impressive find, in fact epitomizing some of the period's least enduring excesses. They originally recorded under the name Stonehenge, with a female vocalist, before assuming their more familiar name, and left behind a good deal more than an album's worth of tracks, some of which turned up on the 1995 Sundazed CD reissue of Armageddon. Their all-original material emphasized heavy organ, long, drawn-out fuzzy guitar solos, despondent stoned vocals, and minor-key melodies, somewhat in the mold of Iron Butterfly. 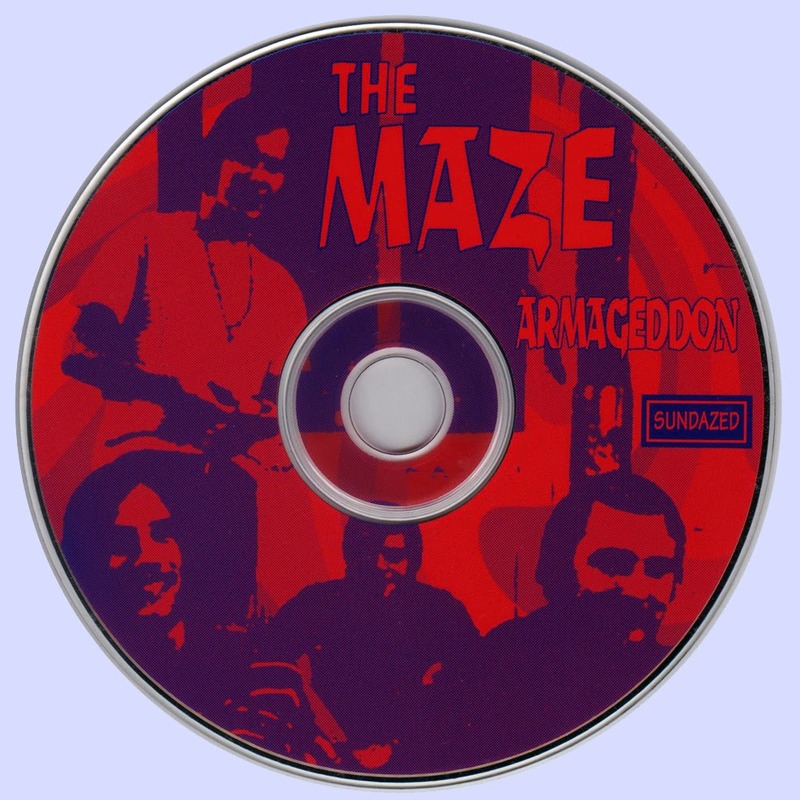 The advent of ear splitting, cortex-skewering bands like the Maze really did signal the end of the sixties. But just like that ultimate orgasmic blast during the finale of a great fireworks show, what a perfect way to go. A true rarity among 60’s psych collectors, tracks 1 through 7 appeared on the original Maze release, recorded at various studio sessions from September 1967 to March 1968 at Leo Kulka’s Golden State Recorders in San Francisco. In addition to this original album, we’ve added six unissued bonus cuts! The earliest of these tracks, “Right Time” and “Rumours” were recorded on April 21, 1967 under the groups’ previous moniker, “Stonehenge”. The cool, folk-rock sound of “Stonehenge” is period Bay Area, complete with requisite female vocalist and chiming Rick 12-strings. Other previously unissued tracks here include instrumental backings of “Dejected Soul” and “Kissy Face”. They are, essentially, extended, fuzz-guitar filled rehearsals for what would, several takes later, become the master backing tracks upon which vocals would then be overdubbed.